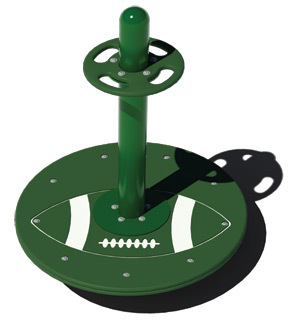 Football fans will love spinning around on the Spin About Play Component. Encouraging children to use their own strength to pull them around the unit, this Spin About is great for children playing by themselves and will help develop independent play. Made for children ranging from ages 5 through 12, the frame is powder-coated with a 5-7 mills thick, triple flo-coated corrosion protection for a superior, high gloss, no peel, no flake finish. 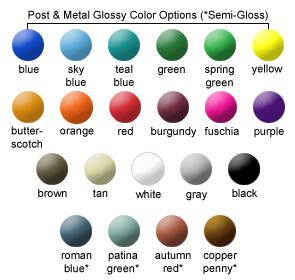 Choose from the wide variety of colors shown below for both the frame and the platform/handle. Mounting plate and assembly hardware is included. 1-1/4" O.D. Round Steel Tube. 5 to 12 Age Group.